Normally, Microsoft offers Windows Phone customers with free 7GB SkyDrive storage space, but Microsoft is giving a good holiday surprise to its customers. Microsoft is offering free 20GB SkyDrive storage to select Windows Phone owners for one year, bumping the free storage to a total of 27GB. To show our appreciation of Windows Phone customers, we are giving you an extra 20 GB of free SkyDrive storage for one year. This is in addition to the 7 GB of free SkyDrive storage that all customers currently have. 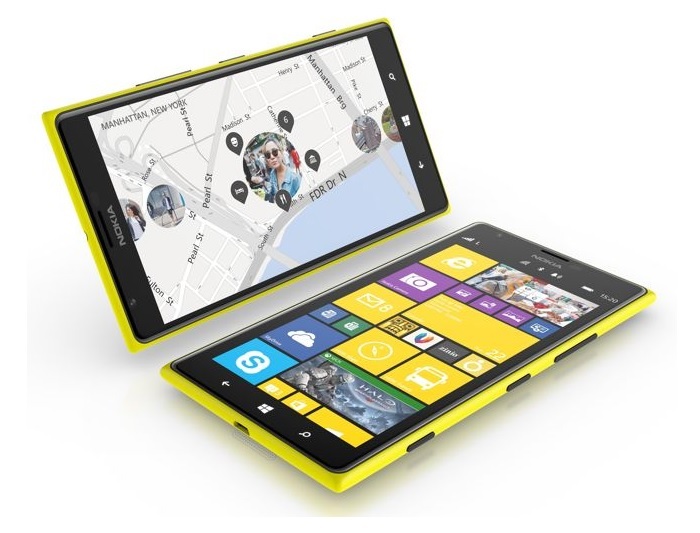 SkyDrive is built into your Windows Phone. It’s personal online storage that you can access – along with the photos and files you save there – at SkyDrive.com from any Internet-enabled device, and through the SkyDrive mobile app. 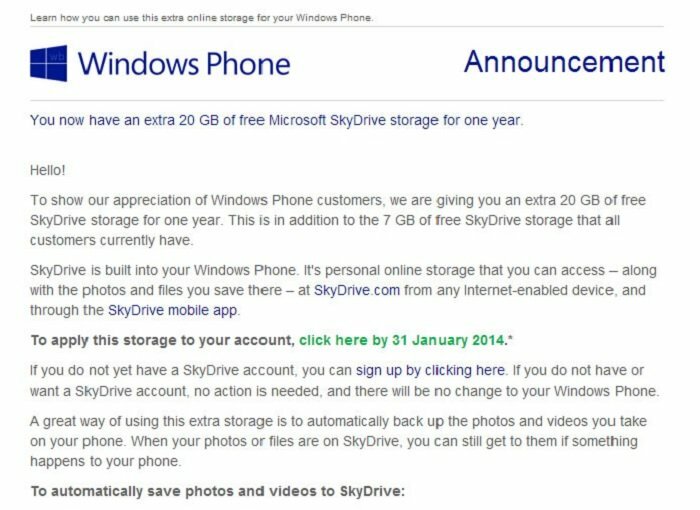 The email comes with a redemption link, which must be utilized before 31st January, 2014, if you want 20GB extra storage space for your SkyDrive account. Additionally, the email doesn’t mention if the offer is for those residing in the US or it expands to other regions as well. Although it seems that people in other parts of the world also received the email. For those of you who are wondering what happens when the year ends and you decide not to pay for the service anymore, you’re files will remain saved on the SkyDrive and can be viewed/downloaded/deleted, but you’ll not be able to edit them on SkyDrive, according to LiveSide. To do so, you must pay for the extra storage or bring it back down to the free available limit. Did you receive the notification email from Microsoft? If yes, let us know in the comments below.